Thanks to the included tray, the robot can become a waiter and bring you a bottle of your favourite drink. 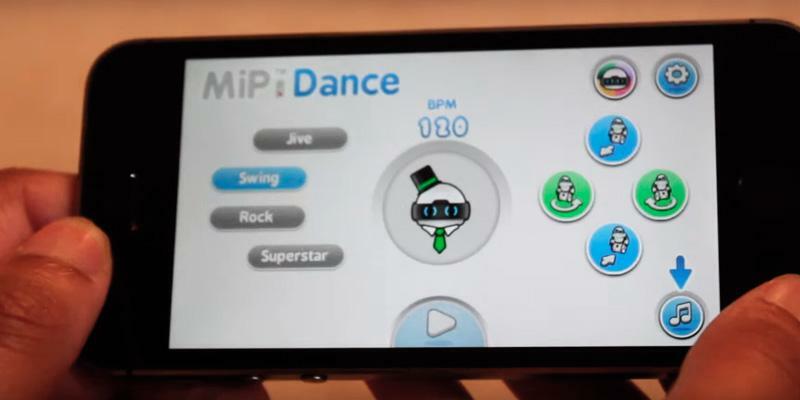 In a Dance mode, your robot will dance to any music that you pick on iTunes. You need some time to learn how to use the gesture control. Translate to the future! With intellectual Wow We MiP toy robot, you and your child will spend time actively and dispel anguish. You will easily forget that you are dealing with a robot! 67 preset programmes provide numerous ways of interaction with the robot. And the ability of the robotic alien to acquire new skills significantly extends its functionality. It'll take your kid some time to learn how to control the toy. Having the Playtech Logic RoboActor at home, not only children will be eager to play with it but parents as well. Advanced technologies allow everybody to discover something interesting! Launching mini frisbees will allow you to have enthralling games with the robot. For example, you will be able to create stories about saving the world. Your kid will definitely feel like a superhero! Rather small number of phrases. 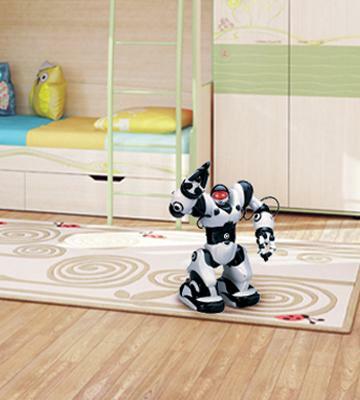 An affordable and functional robot will surely delight children. It will also let them participate in virtual battles thanks to the built-in arsenal of weapons. The child will always have fun with Thinkgizmos toy robot! TrackBall with Beacon Sense™ array lets your child play fetch with the dinosaur as well as feed it and discover its dancing and beatboxing talents. Isn't compatible with Windows phones. With three control options available, you can choose the most convenient for you. And MiPosaur's ability to express its feelings in accordance with its mood will make your communication more exciting. 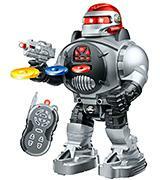 Boasting numerous integrated games, this toy robot will not only amuse your kid but also develop his/her skills. Sensor sensitivity could be better. If you don't have a chance to present your child a real pet, the ZuppyLove can become a worthy alternative. Let your kid learn what the care and responsibility are while interacting with this tender puppy toy. 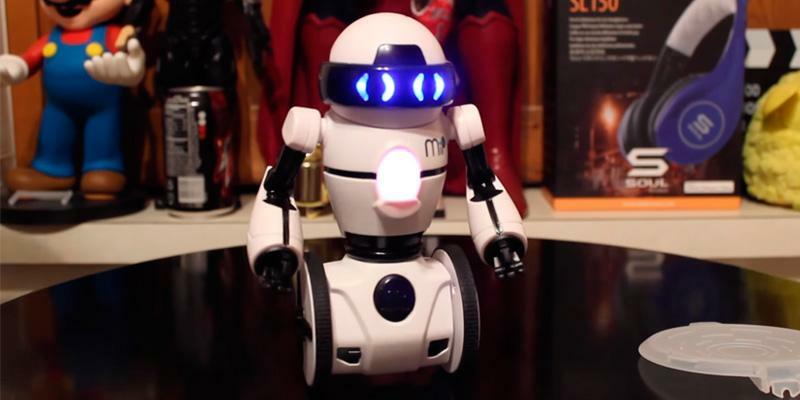 Wow Wee MiP toy robot looks like a messenger from the future with all its modern, hi-tech capabilities. Made of high-quality plastic, the toy robot sits on two wheels that run smoothly on all types of surfaces. 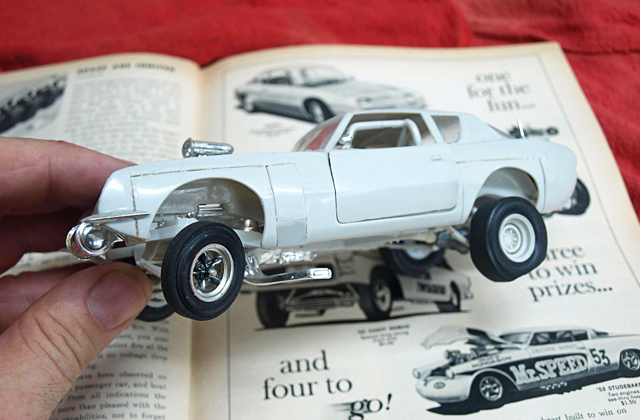 Even if your flooring is carpeted, the toy will navigate it with ease. Wow Wee MiP toy robot is much favoured by kids, for it features a hi-tech style design best suitable for creating unreal fantastic atmosphere. Your kid has much interest in fantasy? Then, Wow Wee toy robot is what he (or she) needs. There are two control options available: you can use either gesture control or any of the gadgets based on Android, Windows Phone, or IOS. 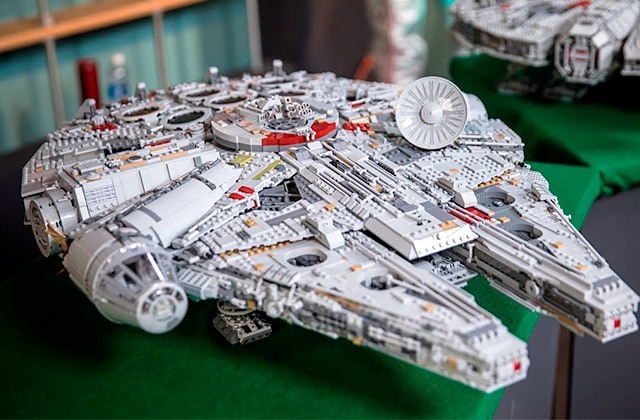 The only thing you need to do is install a special app on your smartphone or tablet and connect it to this toy. Done! Now you can control your robot within the range up to 100 feet. The built-in sensors will react to the child's gestures thanks to GestureSense technology, and the model BIP will perform on the commands given to it. 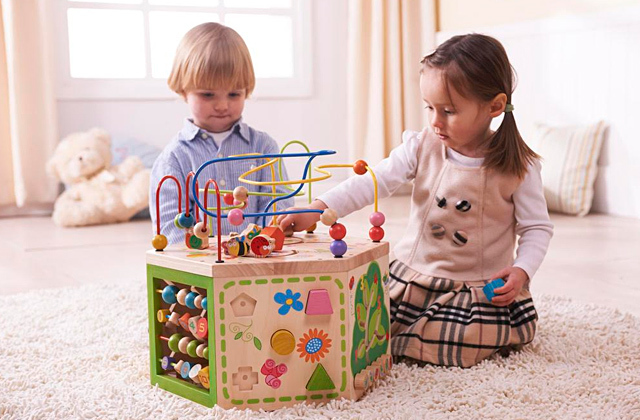 Playing with this toy is not only funny but also useful since such games develop motor skills. The toy robot is powered by 4 AAA batteries (not included). 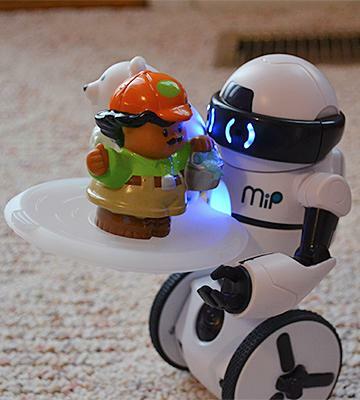 Give Wow Wee MiP toy robot to your kid and see how quickly it will become his or her best friend! 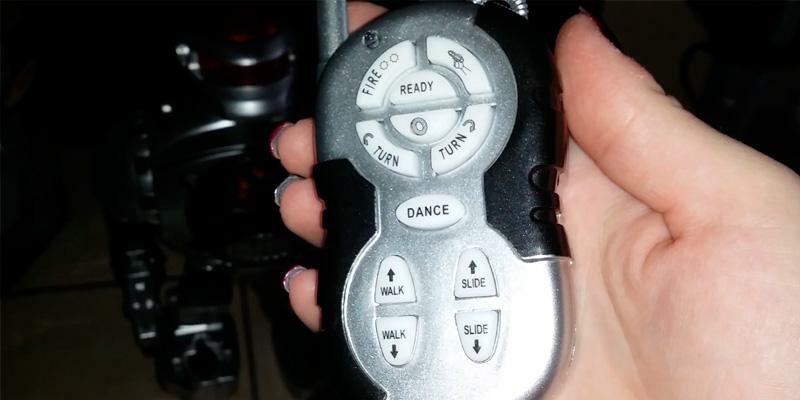 There are 7 different modes available. You can change them using your smartphone or just rolling the wheel. RGB LED diodes imitate eyes: they glow in different colours so that you can see in which mode it works. In MIP mode the robot reacts to gestures, touches, and even different sounds like claps. Balancing is another mode set to let the toy robot carry and transport things, serving as a waiter! You can actually make it bring you drinks or slippers. Wonderful! The other mode is a cage mode; the robot will try to escape and your child should not let it happen. In the programming mode, the robot can learn something new and remember up to 50 new commands. The other modes will make the toy robot explore terrains, dance and follow you. 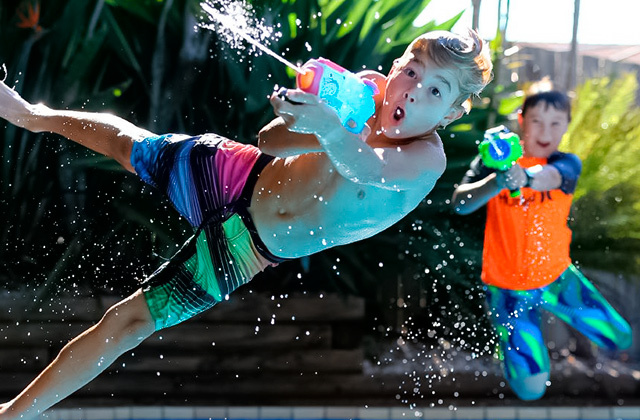 All these functions will capture your and your kids' attention for a long time! If you’re searching for an advanced toy robot designed in accordance with modern technologies, you should have a look at the Playtech Logic RoboActor! We bet, you’ll be surprised at its super abilities! Equipped with 67 preset programmes, this robot can dance, grab things, carry them around, throw them, and perform a lot of other actions. A handy remote included in the box allows you to control the RoboActor and even to programme it for developing new skills and exploring the world. Its interactive reflex system consisting of 6 sensors located all over the body allows the RoboActor to fulfill every task with the maximum precision by helping it detect and overcome obstacles, respond to your touch, and coordinate its movements. 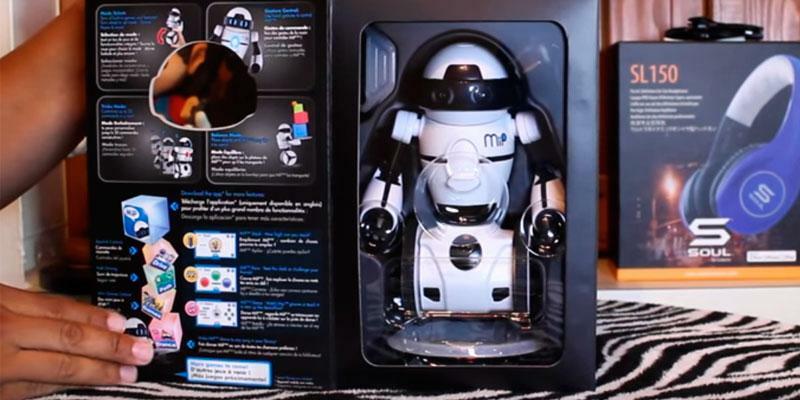 Having a toy robot this smart at home, not only children but even adults will be amazed by its abilities! If your little one is interested in vehicles and dreams about driving, ride on cars will definitely become another great gift idea! Everyone agrees that robots are always extremely interesting for kids. This model came to us from the Thinkgizmos company. The toy has an attractive appearance that will quickly capture your little one's attention. Designed from high-quality plastic, the Thinkgizmos toy robot has a grey body, red helmet and a fantastic laser gun in its hand. It also allows for loading more soft foam mini frisbees in, thereby ensuring more fun for your kid. 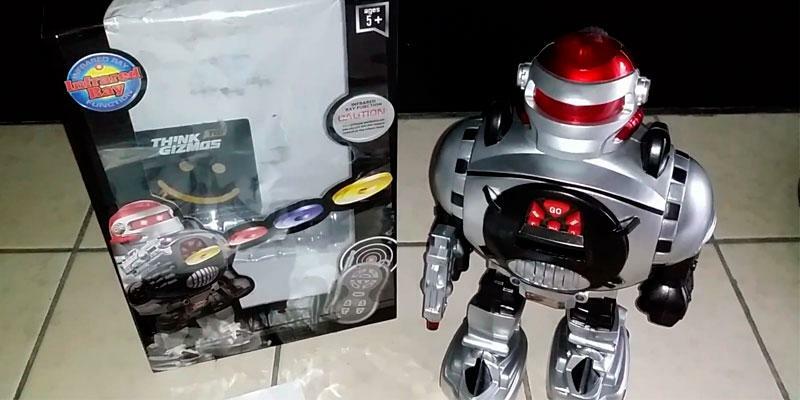 To control Thinkgizmos toy robot, there are a few red buttons along the sides of the toy and a remote control with an operation range about 30 feet. This isn’t exactly the biggest range, but it would allow your kid to interact with it from a distant room. The toy runs on 4 AA batteries, yet, make sure to get two more for the remote control (batteries aren’t included). 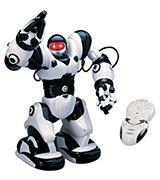 Thinkgizmos toy robotcan become a great gift for a 5-year-old child when he or she has got communication skills enough to interact with a toy and give it commands. Load Mini Frisbees inside the toy robot and shoot them into the air! This is very exciting because they can fly over a fairly large distance. Mini Frisbees are made of soft foam so as not to make any harm to kids playing around. Show your kids the functional buttons and teach them how to make the robot dance, walk, slide and turn round. Wait to see how they're going to react to the glowing robot's LED eyes and a laser gun raised in the air. The entertainment is nondescript and worth the candle. 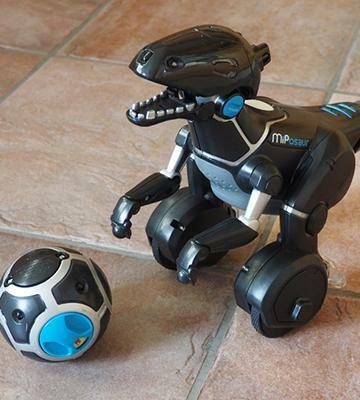 The WowWee MiPosaur is an amazing toy creature that can become your family's best friend. The toy performs various actions in response to your commands which you can give in one of the following ways. GestureSense™ technology coupled with sensors make the MiPosaur react to your gestures, touches and even sounds. Such combination makes it possible for you to interact with the toy by pushing, stopping it or pulling its tail. With TrackBall with Beacon Sense™ array, you’ll make your robotic pet dance, beatbox, and play fetch. By the way, the ball is MiPosaur’s favourite toy. Download iOS or Android application, and you’ll get a chance to choose the route for the dinosaur to follow. Moreover, the application is updated on a regular basis, so you can be sure there’ll be much more games the MiPosaur will like. Note that this toy robot boasts its own identity and its mood can vary. It is able to express excitement, curiosity or even annoyance which makes it really scary. So, be careful playing with the MiPosaur, otherwise, you may unleash the beast. 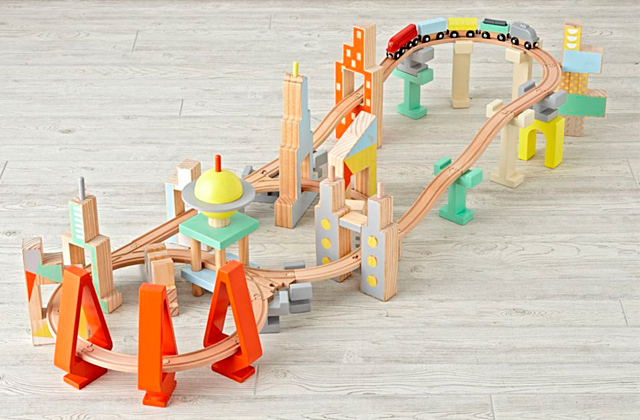 Modern inventions offer us a lot of opportunities to develop our children, and toys aren’t an exception. 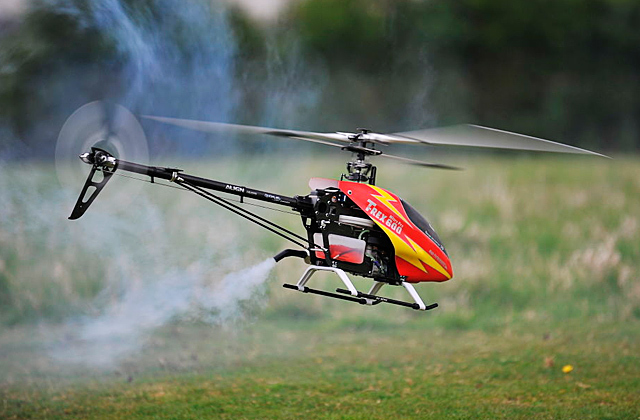 Present your kid an RC helicopter to extend his/her knowledge about aircraft. 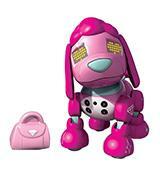 On choosing a puppy toy robot, you'll get an opportunity to teach your child responsibility and care! Here, the ZuppyLove model by Zoomer is an ideal choice. 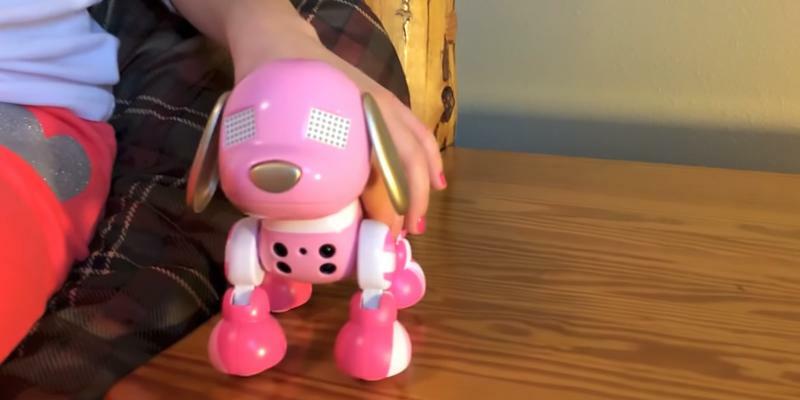 Your kid will understand how important it is to take care of a pet as soon as the ZuppyLove happily responds to your child stroking the robot’s head. Moreover, this interactive toy boasts preset games which not only amuse your kid but develop him/her as well. 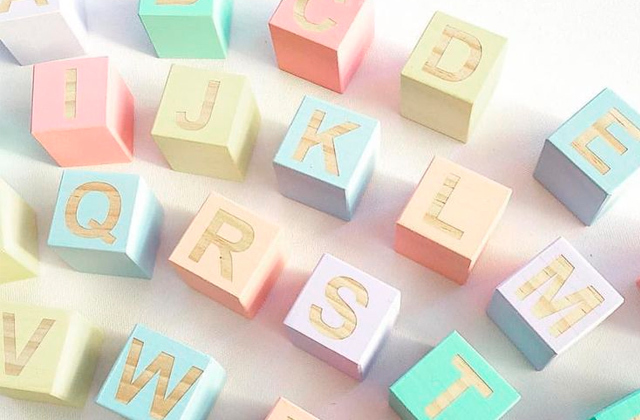 For example, the Higher Lower (a digital version of dice) helps your kid learn numbers. And the Fast Hands game improves motor skills by giving your baby a task he/she should perform until the time runs out. Your little one might also be interested in gathering the whole collection of the Zoomer puppies to observe them interacting and discovering their secret tricks. 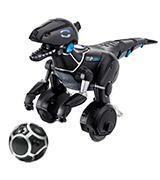 It’s likely that your kid will enjoy spending time with puppy robots since sound and visual effects greatly add to the realism. Buy your kid this ZuppyLove toy, and you’ll see how quickly they’ll become friends. Is your child interested in cooking? Buying a play kitchen can encourage your little one to develop his/her talents. Have you noticed that your kid is sad and bored by playing old toys? If so, it's high time to buy a couple of new cool toys. Nowadays, the market is huge. You can find basically everything: cars, toy pets, dolls. But one of the best options to keep your child amused for a long time is to get a new toy robot. These are interactive toys that can "communicate" with a human and meanwhile, help to develop different skills, so your child can learn new things every day. Be sure! 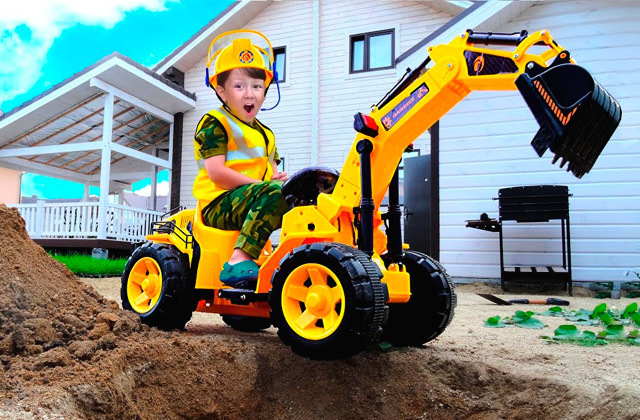 Your kiddo will be really happy and surprised, playing with such a toy! 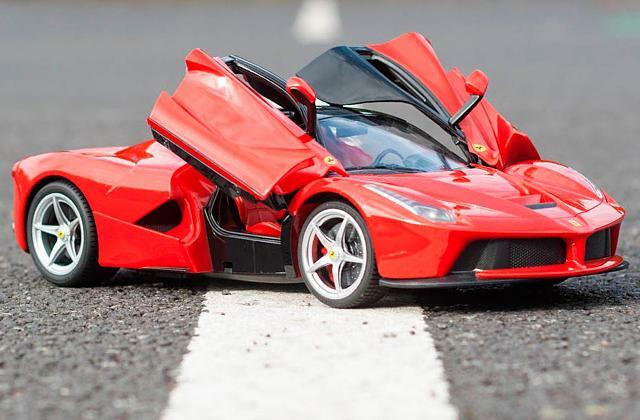 If your kid likes playing a driver, look through our review on the best RC cars. Parents of little daughters (though some boys love playing dolls too) should pay their attention to our other review on best doll houses. 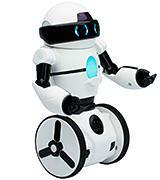 You will be surprised at how many different kinds of robots you can find in a store. 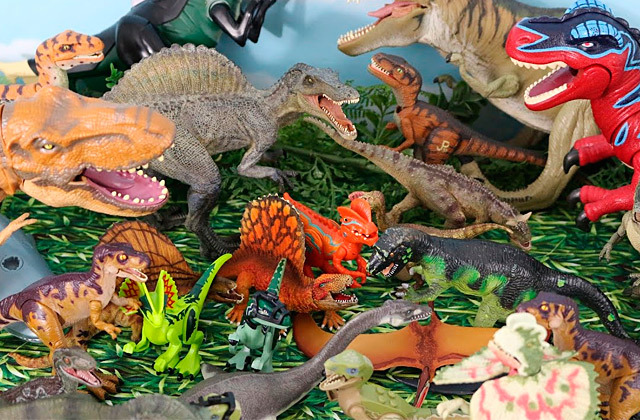 The most popular types are robots-aliens, remote control toy pets, and dinosaurs. Robots-aliens usually have a modern appearance. For example, they can be guests from the other planets or characters from the popular fantastic movies. 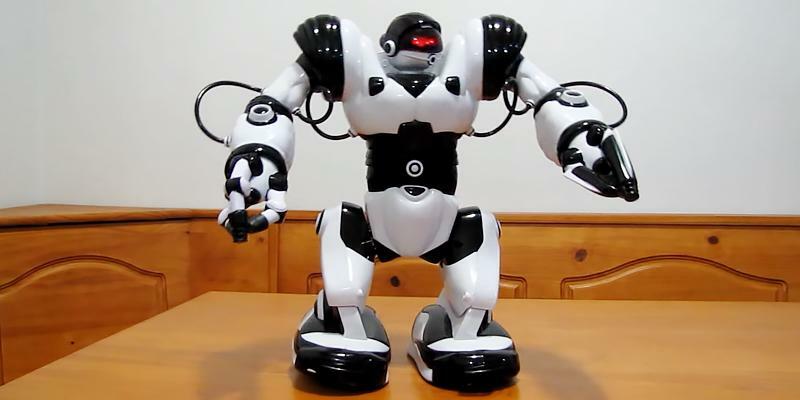 Robots like these can let your kid interact with them and develop their imagination. 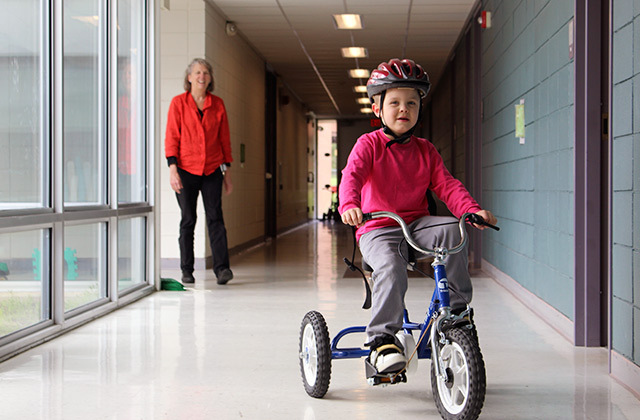 Animal models will be the best option for kids who'd like to have a pet. The range is quite wide: dogs, cats, birds, horses, etc. Actually, any animal! 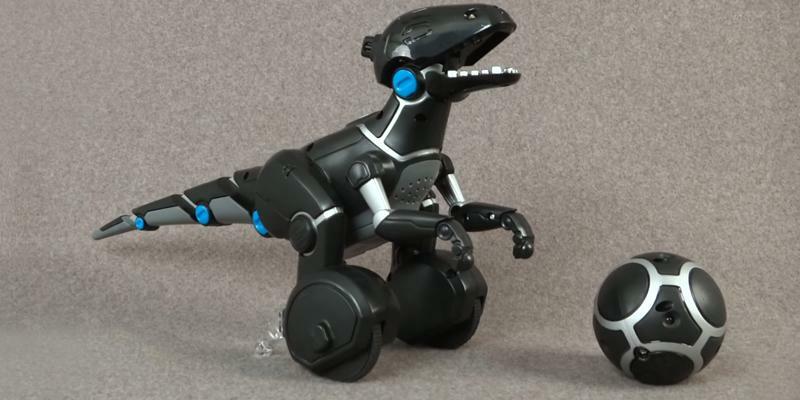 This kind of toy robot can teach your kid how to interact with animals. But if your kid wants to become a palaeontologist or he/she has much interest in ancient creatures, you need to buy a dinosaur model and let your child feel what it's like to be a time traveller! Note that all robot toys are usually made of quality, durable plastic that is absolutely safe for kids. Robots are controlled by a remote controller (wireless or not), gestures, smartphones or tablets. Toys that respond to gestures and touch will be very interesting for very little children aged between 2 to 7 years old, since they contribute to the development of tactile and visual perception. A voice control will allow them to develop communication skills while making interaction with a toy simpler. Smartphone- or tablet-controlled toys are best suited for elder children who can use such gadgets, and for their parents too. Consider what type of battery provides energy supply. It would be profitable to have a toy run on a rechargeable battery so you don't need to constantly spend money on disposable batteries that run flat pretty quick. Have you ever seen movies with robots that could work without a direct human interaction? If you think that it is all sci-fi, you are wrong. Now everything is possible due to the presence of different sensors. Robots can feel where you go, learn new things, etc. Different extras, like sound and light effects, will make the game even more fascinating! 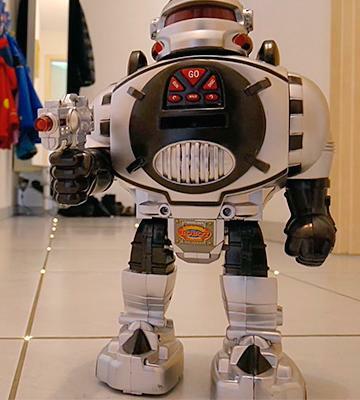 Don't forget to consider robot's size and weight: it should not be too small so that your kid can notice it and should not be too big so your little one can carry it. With this kind of toys your kid will surely be happy and interested in scientific progress, so, go ahead and choose the best one! 1. Tia Ghose Do Computer Coding Toys for Kids Really Work? Live Science. March 7, 2016. 2. Interactive Toy Robot Buying Guide, eBay. 3. Naman Nepal The Ten Coolest Robots In The World, TheRichest. March 1, 2014. 4. How to Make a Simple Robot With Everyday Supplies, wikiHow. 5. Robot, Wikipedia. December 13, 2016. 6. Jenn Choi The Complete Guide to Buying a Robot for Your Kids, QUARTZ. December 12, 2014.